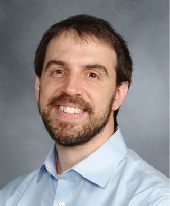 Dr. Grinspan is Assistant Professor in Pediatrics and in Healthcare Policy and Research and a board certified pediatrician and child neurologist with additional training in epilepsy at Weill Cornell Medicine and the NewYork-Presbyterian Hospital. His training also includes a degree in biostatistics, and a completed postdoctoral fellowship in quality of care and medical informatics. His published research draws from experts across multiple disciplines (epilepsy, emergency medicine, critical care, health services research, informatics, biostatistics, machine learning, economics). He currently leads several multi center research projects, including a grant from Centers for Disease Control and Prevention to study rare epilepsies in New York City, and a grant from the Pediatric Epilepsy Research Foundation to compare the effectiveness of medications for infantile spasms.